2-10-2015: In between the 4 Blood Moon Tetrad and in the fifth month of the Shemita year (Sabbath Year ) There has been a significant increase of fireballs/ meteors, mystery booms, unexplained “explosions”, large earthquakes all over our world. It may seem like a years worth of events, but everything you see in this video has taken place between December 24, 2014 through February 10, 2015 ONLY!! *Important Note* Please know that most articles are going to go through extremely fast as this video is jammed packed. If you would like to read what is on the screen I strongly encourage everyone to put this video in “Full-Screen” format, on the (HD) Highest Resolution, and “pause” where you would like to read for better viewing and reading (Most links are down below). I will not be approving and I will be deleting any negative comments regarding the music, intro, or anything else that I don’t think is appropriate or doesn’t contain to what is being presented in the video. DNA TRACKING/STEALING, RFID CHIPPING “THE MARK”, BIOMETRICS, & TRANSHUMANISM. ISIS, THE ISIS, ICE-US RITUAL, & THE ICELAND VOLCANO GOES INTO LABOR: HIGH MAGICK? In between the 4 Blood Moon Tetrad and in the second month of the Shemita year (Sabbath Year ) Western New York was slammed with a record breaking 88 inches of snow (more than they usually get in an average winter season) after an apocalyptic lake-effect snowstorm that left 13 people dead. Is a mini-ice age on it’s way? If anyone needs or wants any links for anything in this video please inbox me on our Facebook page. I have every link and source for every picture and video. There were too many for me to post all of them here. *Important Note* Please know that most articles are going to go through extremely fast as this video is jammed packed. If you would like to read what is on the screen I strongly encourage everyone to put this video in “Full-Screen” format, on the Highest Resolution, and “pause” where you would like to read for better viewing and reading (Most links are down below). In accordance with Title 17 U.S.C. Section 107, the material on this site is distributed without profit to those who have expressed a prior interest in receiving the included information for research and educational purposes. For more information go to: http://www.law.cornell.edu/uscode/17/. 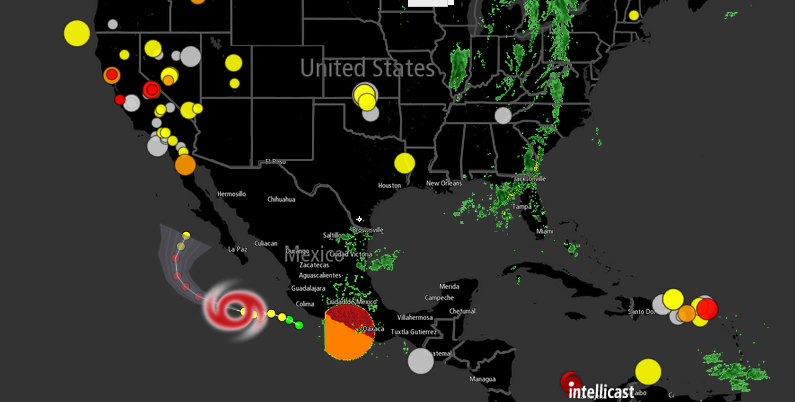 What in the world is THIS flashing off the coast of Mexico???? It’s not rain, it’s flashing on and off on Intellicast!! 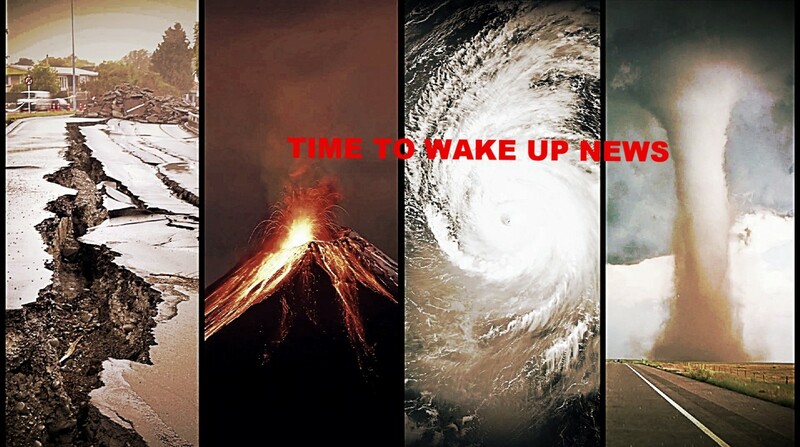 HAARP?? I’ve been checking this every day for 4 years now and I have never seen anything like this before. Please comment below, thank you.